Stora Enso and Sulapac continue to combat the global problem of plastic waste by launching a demo for sustainable drinking straws at Slush 2018, a leading startup event that gathers 20,000 tech enthusiasts from around the world. Stora Enso and Sulapac continue to combat the global problem of plastic waste by introducing a demo of a sustainable straw at Slush 2018, a global leading startup event gathering of 20,000 tech enthusiasts. The demo, targeting industrial scale production, is designed to replace traditional plastic straws with renewable ones. 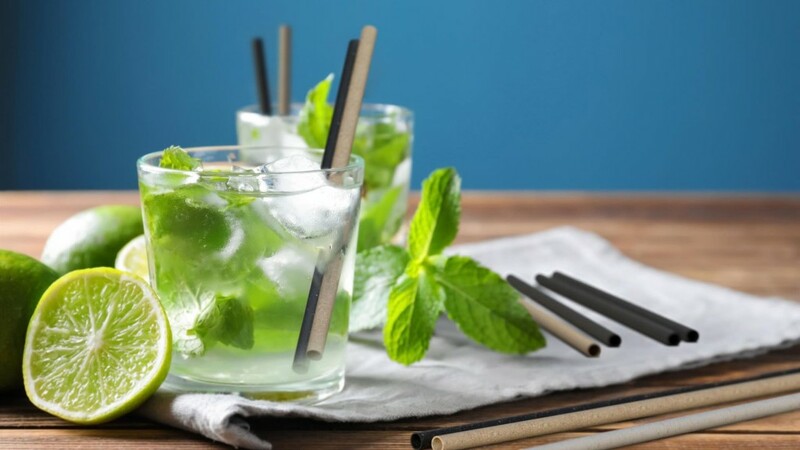 The straws are based on Sulapac's biocomposite material – made of wood and natural binders – designed to be recycled via industrial composting and biodegrade in marine environment. Stora Enso and Sulapac continue to combat the global problem of plastic waste by launching a demo for sustainable drinking straws at Slush 2018, a leading startup event that gathers 20,000 tech enthusiasts from around the world. The demo, which targets production on an industrial scale, is designed to replace traditional plastic straws with renewable ones. The straws are based on Sulapac's biocomposite material – made of wood and natural binders – designed to be recycled via industrial composting and biodegrade in marine environments. "This is an important step for Stora Enso and showcases our long-term commitment to gradually replacing fossil-based materials with renewable solutions. Our collaboration with Sulapac is a great example of what we can achieve through partnership in terms of driving innovation to create sustainable solutions within the bioeconomy," says Annica Bresky, EVP, Consumer Board division. "Eco-awareness is a strong driver for consumer demand, and our customers want help in replacing non-renewable materials. Different biocomposite solutions, such as renewable caps and closures and straws will be add-ons and a complement to our own consumer board portfolio, bringing additional value to our customers," says Hannu Kasurinen, SVP Head of Liquid Packaging and Carton Board. Sulapac's material works in existing extrusion lines and the target is to have the straws commercially available in Q2 2019. "Today, we proudly announce that we are launching a demo for a recyclable, microplastic-free and marine biodegradable straw. This is the world's most sustainable straw that can be produced on an industrial scale and we have jointly developed it with Stora Enso. Billions of plastic straws are produced and used every week. This straw has the potential to be a true game changer," says Sulapac's founder and CEO Suvi Haimi.